If you don't stop in Santa Cruz for any other reason, the Santa Cruz Beach Boardwalk is retro America to perfection! Enjoy a corn dog or chowder fries and make a day of it. Mooch down to the Wharf where there's plenty more seafood and souvenir shopping. 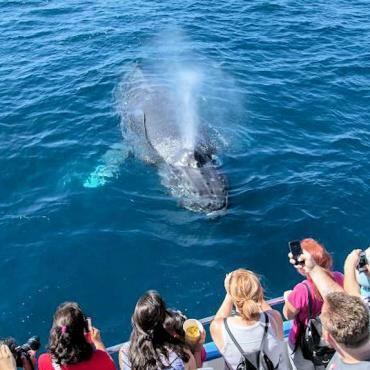 Also it's worth considering a bay cruise, whale watching trip or a fishing charter. What's that sound? It has to be the resident barking sea lion found all along the wharf. Surfers never had it so good! You can see them bobbing and swooshing in Monterey Bay all the way to Natural Bridges State Beach where the sea sculpted rock bridge has to be nature at its best. An added bonus October to early March, is a colony of Monarch butterflies which roosts in a eucalyptus grove. Wilder Ranch State Park is perfect for hiking, biking or horseback riding along miles of scenic trails.